It’s been six years since Lehman Brothers collapsed, and heralded the arrival of a series of banking disasters. In the days that have passed since September 2008, the finance industry has come under heavy regulatory, political and market scrutiny. With regulation and compliance requirements steadily rising, and banks becoming more risk-averse as a result, data breaches, compliance failures and the like are becoming even more of an issue than before. A couple of recent examples: a data breach at JPMorgan Chase & Co in August resulted in criminals stealing gigabytes of account information. In the same month, HSBC and Paribas faced multi-billion dollar fines for failures in money laundering controls. Understanding the nature of risk a bank faces is an ever-more-complex task. It’s not for nothing that many banks have retreated to low-risk, low-return corrals as a result of hefty regulation, depriving markets of much-needed liquidity as a result. An unintended consequence of tighter controls to prevent criminality is that legitimate activity can suffer as a result. This sounds terrible, but in fact, it’s an opportunity of epic proportions for banks and finance operations with the right tools. By collating and processing the correct data – and doing so quickly and efficiently, historically low risk activities such as correspondent banking, currently suffering at the hands of money-laundering-related oversight – can become profitable again. The same legitimate businesses, after all, need to trade – it’s just the need to avoid accidentally mixing the odd criminal in there is becoming far more important. Data is at the centre of risk assessment, and needs to be managed efficiently and securely. Reporting, analytics and regulatory reports have become a further hurdle. As regulation bites deeper, markets become ever-more competitive and risk calculations become more complex. Tying up significant processing and storage resources to calculate risk positions in real time, or analyse transactions for compliance is an increasingly significant business issue. The traditional approach of simply buying more and more servers and storage arrays is becoming less and less practical in terms of ROI. In order for financial services organisations to maximise their IT’s return on investment (ROI), they need to support stringent corporate governance and regulatory compliance needs to secure non-public information, personally identifiable information, and other sensitive information. At the same time, they need to lower IT infrastructure expenses and management workloads by eliminating performance tuning for databases and applications, simplifying and automating storage management to reduce workloads, and minimising data storage footprints with compression and dedupe. Lastly, these organisations provide faster data access for data analytics, modelling, reporting, and simulations. How can flash provide faster data access for audits? To support corporate governance and regulatory compliance, financial services businesses need to be able to run audits at any time without affecting daily operations. Robust, automatic audit chain generation makes flash storage arrays incredibly useful here. Nobody, even IT administrators, can make changes to system configurations without a trail being created. Auditors can instantly see changes as they are being made, and still have access to them if needed for an investigation months or even years later. One of the biggest problems for this sector is that it makes a very, very attractive target for attack by all kinds of organisations. The data that financial companies protects is not only valuable, but can also lead to actual money for hackers who are able to penetrate a company’s data at rest. A full-scale breach can net millions of dollars for hackers just using the captured passwords and information, and much more when selling data like credit card numbers on the black market. This can cause the financial sector to go a little over the top with their security measures, locking down systems with draconian schemes and highly redundant protections. The problem with this approach is that too much security can actually become a wall that blocks authorised users from getting to the information that they need. This is where flash can help solve three problems; encryption, key management, and physical drive protection. Flash uses a full encryption to protect and lock down financial data. Nothing written to a FlashArray is unencrypted, so there are no back doors or loopholes that a hacker can exploit. Every byte is protected with AES-256 encryption on every drive in the entire array. 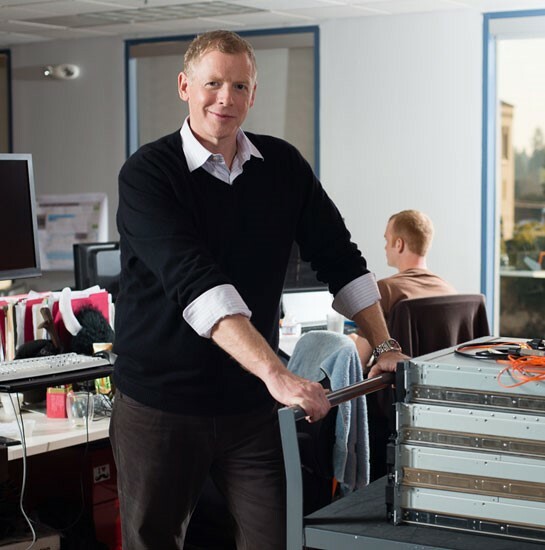 Pure Storage’s FlashArray also doesn’t need external key management for encryption. They use a unique internal key management mechanism, which keeps the burden off both the admin and users, meaning they no longer need expensive third-party key management programs. Keys are generated securely and automatically, like having key management without the actual keys. Some thieves will even go as far as stealing entire drives. But they won’t do them much good, even if they have a FlashArray enclosure to plug them into, because of the AES 256 encryption. Simply put, a single drive separated from an array is going to be worthless. Without the right software that drive won’t unlock or work, and with operating systems like Pure Storage’s Purity OS, each drive is given a unique password that is randomly generated and never leaves the Purity environment. Once generated, the codes are then uniquely scrambled and shared among all the drives in the array. Then as an added precaution a new overall secret password and individual passwords for each drive are randomly generated every day. Flash is playing an important role in transforming the financial services industry by accelerating analytics, modelling, reporting, and audits, increasing storage return on investment to better-than-disk, and protecting and securing data while delivering continuous access. It’s already doing this for firms like Investec Asset Management, which managed to cut its storage hardware requirements by 80% and switched to an almost entirely virtual environment by changing from hard disk-based arrays to flash arrays, all while boosting speed and making the sort of performance benefits I’ve just talked about achievable.